This house, located in Julienne, is ideal for 7 vacationers. It offers 4 bedrooms, a furnished garden, a terrace and WiFi. The lounge is perfect for unwinding after a day of exploration. Curl up on the comfortable sofa and enjoy a good book or take advantage of the amenities on offer, including a TV, WiFi, a CD player, a Hi-Fi and a DVD player. The kitchen is well-equipped for cooking up your favorite meals. Enjoy your feast around the dining table or outside, in the garden or on the terrace. The house features central heating, ironing equipment and a washing machine. Note that towels and bed linen are included in the rental fee. End cleaning has to be done by the guests or can be available with additional fees to be paid on site. A tourist tax of 0.75 euros per person per night will be required upon arrival. Bring extra layers for the cool nights and enjoy all this area has to offer. 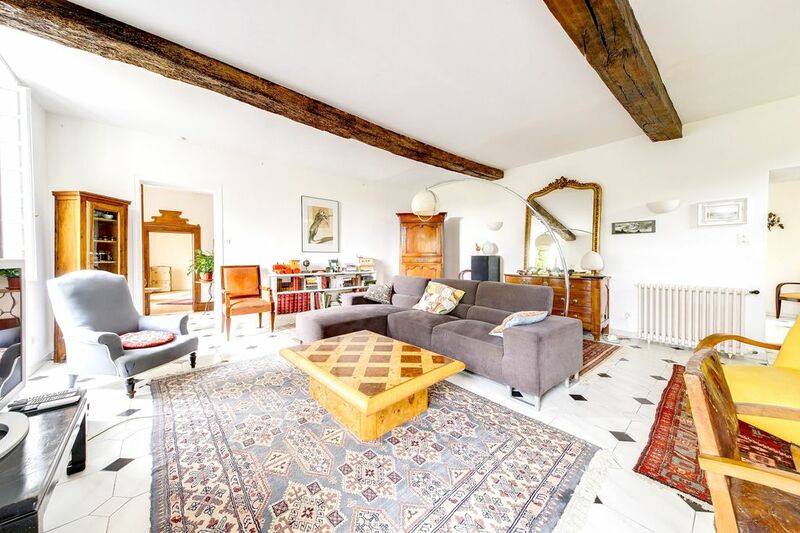 Très belle maison avec le charme de l'ancien, de l'espace, bien décorée et meublée et le calme de l'environnement. Propriétaires très à l'écoute et accueillants. Un très bon séjour pour nous au milieu des vignes ! This house enjoys a privileged location that will allow you to enjoy your stay in the area. Many activities await you in the surroundings, such as Horse riding, Cycling and Tennis.